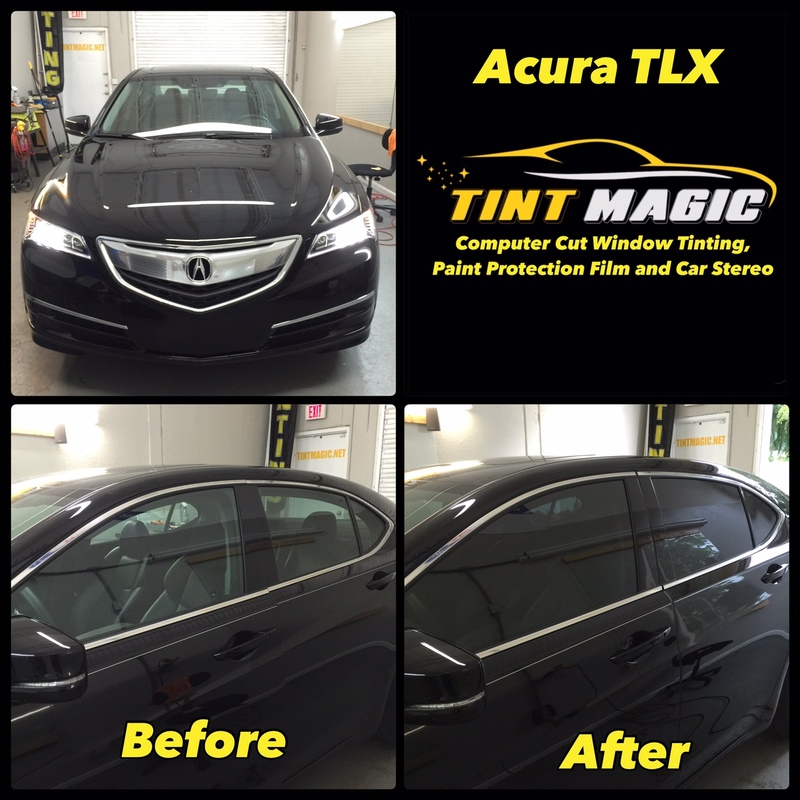 Acura TLX at Tint Magic Window Tinting. We have applied our Gold Package 25% with Lifetime Warranty all over around for the best UV protection and heat rejection. We are located at 11344 Wiles Road Coral Springs Fl 33076. Call us for a free estimate! (954) 840-7883. Acura likes to tout high-tech systems as the main selling points of its models, and the TLX is no exception; it offers four-wheel steering and torque-vectoring all-wheel drive to enhance its agility. The base powertrain is a 206-hp 2.4-liter four with an eight-speed dual-clutch automatic or a 290-hp 3.5-liter V-6 with a nine-speed automatic. The TLX has LED exterior lights and electronic driving assistants including AcuraLink, road-departure mitigation, and collision-mitigation braking.